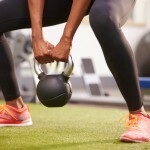 In order to keep your body functioning properly, with muscles that are taut and smooth, you need a strength training program in Burlington, ON. For years, you’ve heard that half an hour of exercise daily is enough to maintain your current weight. If you wanted to lose weight, you should exercise more. Only recently have the recommendations changed to at least an hour of exercise a day in order to maintain your weight. Since you know that maintaining a healthy weight is an essential part of keeping chronic diseases like diabetes and high blood pressure at bay, finding the right exercise program is a high priority. While you may enjoy a certain type of cardio exercise, such as long-distance running or Zumba, simply doing daily cardio exercise isn’t enough to keep your body functioning in prime condition. In order to keep your body functioning properly, with muscles that are taut and smooth, you need a strength training program. When you are ready to start your journey toward greater health, reach out to me. Not only can I assist you in your strength training goals, but I can also assist you with nutrition and personal counseling as you progress in your quest for greater health.